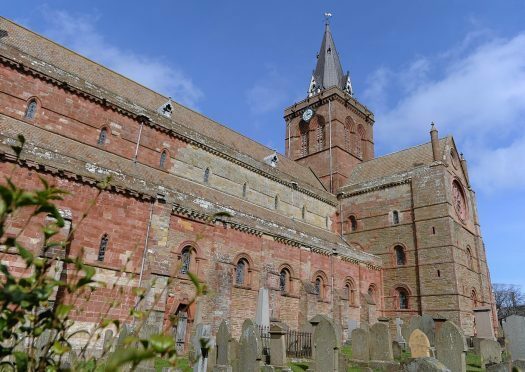 St Magnus Cathedral, one of Orkney’s best-known landmarks, is set to become the canvas for a short film as part of events to mark the Armistice of the Great War. The film, funded by the Kirkwall Townscape Heritage Initiative (THI) will see animations and archival imagery projected onto the Cathedral. A Glasgow-based specialist film and animation studio has been commissioned to create the work and meet the challenges of the project. The short film will run on a loop each evening in the fortnight leading up to Remembrance Day on November 11, which this year also marks the 100 year anniversary of the end of the First World War. The project is part of Orkney’s First World War commemoration programme, which is being co-ordinated by Orkney Islands Council, with contributions and support from local organisations community groups and individuals. Council convener Harvey Johnston said: “This promises to be a memorable experience as a part of events marking the centenary of the armistice, and one which we hope will really capture everyone’s imagination and emotions and bring the legacy of WWI to life for younger generations. It’s not the first time St Magnus Cathedral has featured as a backdrop to high profile commemorations of the Great War. In 2016 the Cathedral was the centrepiece of the breath-taking sculpture “Poppies: Weeping Window” a cascade comprising several thousand handmade ceramic poppies pouring from a high window to the ground below, as part of the UK’s official commemorations of the centenary of the Battle of Jutland, which was hosted in Orkney. The sculpture was a highlight of 14-18 NOW, the UK’s arts programme for the First World War Centenary. Kirkwall THI’s project manager Richard Ritch said the film will be another important reminder of Orkney and Kirkwall’s pivotal role in the war. He added: “We often look at the town’s heritage and history through a medieval or Viking lens, but more recent events have also shaped the built environment and community we experience today.